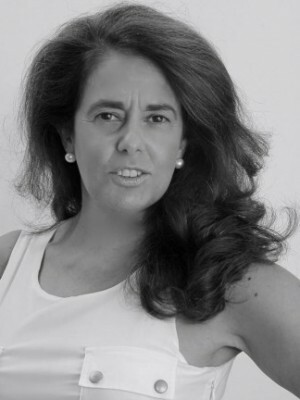 Paula Vilarinho graduated in Ceramics and Glass Engineering from the University of Aveiro, Portugal in 1983 and got her PhD in Materials Science and Engineering from the University of Aveiro, Portugal in 1994, in the field of Relaxor Ferroelectric Materials. 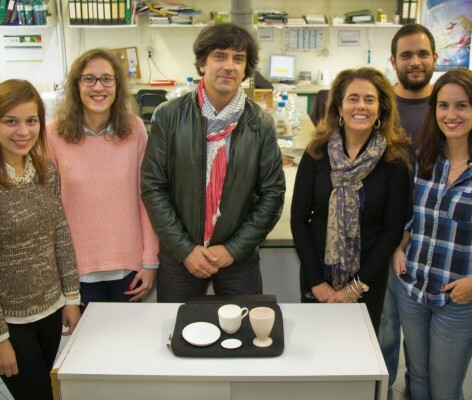 Paula Vilarinho is Associate Professor at the University of Aveiro since 2000 and member of the Associate Laboratory, Centre for Research in Ceramics and Composite Materials (CICECO). 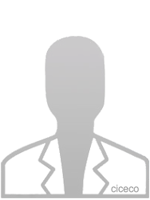 - Member of the Scientific Committee of the Doctoral Program in Materials Science and Engineering of the University of Aveiro. She was Visiting Professor at the Department of Materials Science and Engineering of North Carolina State University, USA, in 2001 and Visiting Professor at the Department of Materials Science and Engineering, University of Sheffield, United Kingdom in 2008. Her teaching activities include topics on the synthesis, processing and characterization of materials, such as Microsctructure and Interfaces, Advanced Processing Techniques, Materials Processing Technologies, 2D 3D Structures, Functional Materials, Properties of Materials, among others, for under graduate, master and doctoral studies. She is a member of the Editorial Board of Scientific Reports (from Nature Publishing Group), Practical Metallography and International Scholarly Research Network - ISRN Ceramics. She is a member of the Portuguese, European and American Materials Research Societies and Microscopy Societies. She has been acting as referee in the selection of Portuguese and European R&D projects (European Research Council and various European States Research Agencies) as well as a frequent referee of SCI journals. She was the former President of the Portuguese Society of Microscopy (2010-2011). Paula Vilarinho published over 260 papers, 4 book chapters, with ca. 3239 citations (h-index 31), 9 patent applications and edited 4 books. She has given over one hundred scientific and technical talks at international conferences and 86 invited talks. She has(is) supervised(ing) 18 post-docs, 21 PhD students and 32 Master students. She has been involved and coordinating more than 20 R&D projects and in more than 20 European R&D actions, networks and projects on the development and characterization of dielectric, piezoelectric and ferroelectric materials. 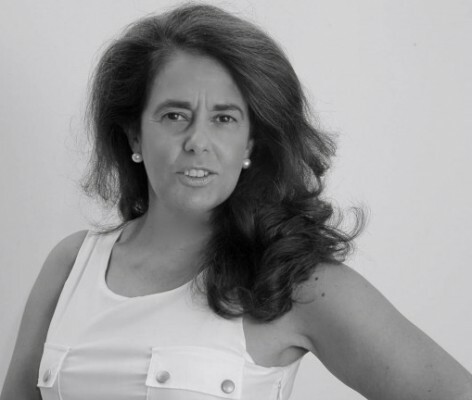 She has been collaborating with more than 10 Portuguese R&D groups and 10 foreigner groups, within Europe and USA. She organized 6 International Scientific Meetings and 4 National and International workshops on Materials Science topics. She was distinguished with the prize “Estímulo à Excelência” (Stimulus to Excellence) in February 2007 awarded by the Portuguese Foundation for Science and Technology (FCT). Paula Vilarinho Research Group is engaged in fundamental and applied research in the synthesis, properties and processing of functional materials for electronics, microelectronics and related applications. Professor Paula Vilarinho group research has been focused on electrical polarization phenomena in solids, aiming to understand the mechanisms that control electrical polarization at the macroscopic and nanoscale level, and applying such understanding to the development of advanced nano and microelectronic devices. For that her group has been using electrical and structural characterization tools (impedance spectroscopy, piezo- ferroelectric analysis, scanning probe microscopy, electron microscopy, Raman spectroscopy, among others) at the highest level. Materials under investigation in the group include perovskite type ferroelectric, piezoelectric, dielectric and multiferroic oxides, tellurium based oxides and piezoelectric polymers (PLLA and PVDF). Applications of these materials include memories, sensor and actuators, thermoelectric devices, tunable dielectrics, and bio-compatible piezoelectric platforms for tissue growth, among others. While understanding materials properties is central in many of the R&D activities of the group, the synthesis of nanofunctional materials in different geometries (1D, 2D and 3D) at low temperatures for compatible materials integration and using low cost approaches is becoming increasingly important in the group’s research activities. Within this context the group has been exploiting hydrothermal synthesis, diphasic sol precursors, photo chemical solution and electrophoretic deposition (EPD) for the preparation of nanoparticulates, nanocomposites, thin and thick films of functional materials. 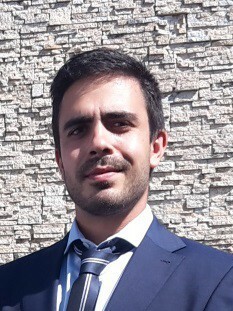 The current research interests of the group comprise the following topics: (1) Electric Field Driven Assembly Involving Ferroics for Biodevices, (2) Electrophoretic Deposition and Constrained Sintering of Functional Materials, (3) Lead Free Ferroelectrics, (4) Low Temperature, Low Cost Fabrication of Functional Materials, Structures and Systems, (5) Nanoporous and Nanostructured Ferroelectrics and (6) Nanostructured Thermoelectrics and Grain Boundary Phenomena. One of Professor Paula Vilarinho recent interests is in creating value for her research through technology transfer. In 2010 she participated in the COHiTEC Portugal Program (www.actbycotec.com) in which she acquired skills for technology transfer and business development. She won two awards in business plan competitions (EMPREENDE+ University of Aveiro, 2011 and Idea to Product (I2P) – COTEC, Portugal, 2011) and in 2011 she started a business venture (BraveSound). 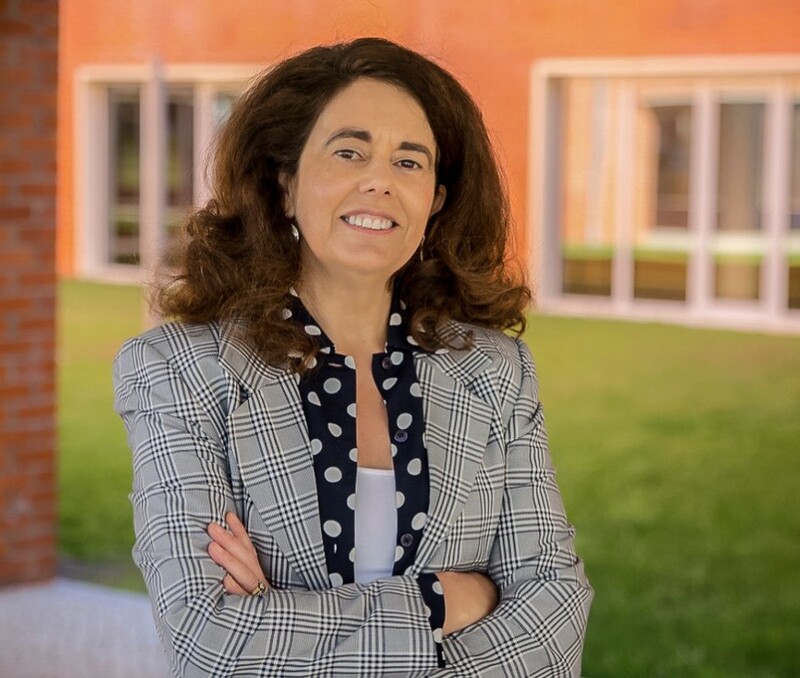 The other interest of Professor Paula Vilarinho is related with Activities of Outreach aiming to contribute to promoting public awareness and understanding of materials science and engineering and to science education. She was the UA representative in the Portuguese Program MATERIALMENTE (http://oficina.cienciaviva.pt/~pv0592/) (that involved 5 Portuguese universities). Since 2000 she has been a regular coordinator of the activities of DEMaC in the Open Week of Science and Technology of the University of Aveiro (Semana Aberta da Ciência e Tecnologia) organized every November (http://semanaberta.ua.pt/pub/default.asp). 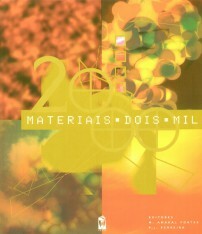 She co-edited one booklet Á Descoberta dos Materiais and one video on Materiais e Desportos Radicais. She authored an article on a local daily newspaper on Nanotechnology, entitled “Grandes coisas a partir de um pequeno mundo! … como é que a nanotecnologia está a mudar o universo?”, Diário de Aveiro, 3 Abril de 2014. 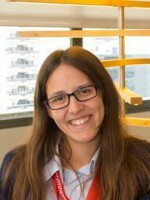 She is currently the PI of the project LinKinMat (Projecto Ciência Viva, PEC38) (https://www.facebook.com/LinkinMat2013). Bi:SrTiO3: A quantum ferroelectric and a relaxor, Chen Ang, Zhi Yu, P. M. Vilarinho, J. L. Baptista, Physical Review B, 57, 13, 7403-7406, 1998. Early Stages of Crystallization of Sol-Gel Derived Lead Zirconate Titanate Thin Films, A. Wu, P. M. Vilarinho, I. Reaney, I. M. Miranda Salvado, Chemistry of Materials, 15, 5, 1147 – 1155, 2003. Domain populations in lead zirconate titanate thin films of different compositions via piezoresponse force microscopy, A. Wu, P. M. Vilarinho, V. V. Shvartsman, G. Suchaneck, and A. L. Kholkin, Nanotechnology, 16, 2587 – 2595, 2005. 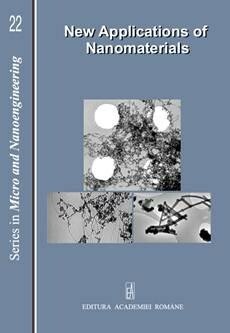 Hydrothermal Synthesis and Crystal Growth Studies of BaTiO3 using Ti Nanotube Precursors, Florentina Maxim, Paula Ferreira, Paula M. Vilarinho, Ian Reaney, Crystal Growth and Design, 8, 9, 3309–3315, 2008. 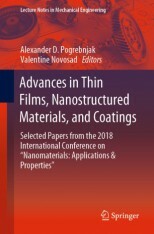 Textured Microstructure and Dielectric Properties Relationship of BaNd2Ti5O14 Thick Films Prepared by Electrophoretic Deposition, Zhi Fu, Paula M. Vilarinho, Aiying Wu, Angus I. Kingon, Advanced Functional Materials, 19, 1–11, 2009. Low Temperature Hydrothermal Deposition of (BaxSr1-x)TiO3 Thin Films on Flexible Polymeric Substrates for Embedded Applications, Ru Z. Hou, Aiying Wu, Paula M. Vilarinho, Chemistry of Materials, 21, 1214–1220, 2009. X-ray Absorption Fine Structure Studies of Mn Coordination in Doped Perovskite SrTiO3, I. Levin, V. Krayzman, J. C. Woicik, A. Tkach, P. M. Vilarinho, Applied Physics Letters, 96, 052904, 2010. Protein Adsorption on Piezoelectric Poly (L-lactic) Acid Thin Films by Scanning Probe Microscopy, Nathalie Barroca, Paula M. Vilarinho, Ana Luisa Daniel-da-Silva, Aiying Wu, Maria Helena Fernandes, Alexei Gruverman, Applied Physics Letters, 98, 133705-1 – 133705-3, 2011. Stability of electrically induced-polarization in PLLA for bone regeneration, Nathalie Barroca, Paula M. Vilarinho, Maria Helena V. Fernandes, Pankaj Sharma, Alexei Gruverman, Applied Physics Letters, 101, 2, 023701, 2012. A. R&D Project coordination 1. 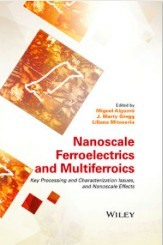 "Synthesis and characterization of ferroelectric thin films for electronic devices”, JNICT, PBIC/P/CTM/1948/95, January 1996 - May 1999. 2.“Development of a steatite materials for extrusion”, Program of R&D in Consortium, with Rauschert Portugal, PRAXIS XXI - Medida 3.1.B, LO47P31B - 02/97, October 1997 - October 1999. 3. "New electrode materials for thin film devices”, Praxis XXI/P/CTM/10183/1998, March 1999 - April 2001. 4"Development of tunable capacitors for applications at microwave frequencies", SAPIENS99 35542/99, November 2000 - June 2004. 5.“Thick composite films for piezoelectric devices”, POCTI/CTM/44732/2002, since February 2004. 6.“Novel BST dielectric films for ultra high density DRAMs“,POCTI/CTM/47285/2002, since February 2004. B. Member of team of R&D Project 7. "Utilization of diatomites from Rio Maior in the production of materials for building construction”, in collaboration with Ferrominas, E. P., October 1984 - May 1986. 8. "Preparation, characterization and sintering of powders for the production of technical ceramics", - JNICT, January 1988 - December 1990. 9. "Optosensors - integrated optoelectronic sensors and transducers: investigation and development of micro technologies, devices and systems”, PRAXIS XXI, project nº PBICT-93-1788, March 1995 - March 1998. 10. "Actives films in optical devices (FADO)", PRAXIS XXI, 3/3.1/MMA/1768/95, January 1997 - January 2001. 11.“Development of low sintering temperature aluminas”, in collaboration with Rauschert Portugal, POE, November 2003 - December 2004. 12.“Dielectric properties and lattices dynamics of granular materials”, POCTI/CTM/45284/2002, February 2004. 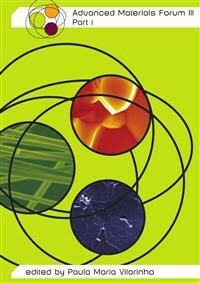 13.“Processing and characterization of electroactive polymers and composites based on PVDF for microelectronic, sensor and actuator applications”, POCTI/CTM, June 2005. 15.“Nanoscale investigation of fatigue of ferroelectric thin films”, POCTI/CTM/61071/2004, June 2005. 16.“Multiceral - Multifunctional ceramic layers with high electromagnetoelastic coupling in complex geometries”, STREP/032616, March 2006 – Leader Reseracher of the Portuguese Team. 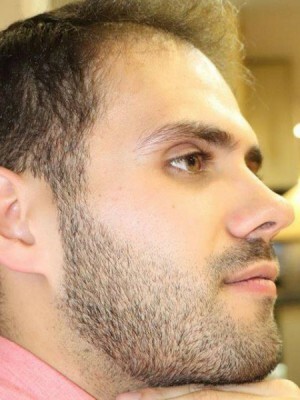 C. Member of team of Cooperation, Networks and International Integrated Actions: 17. - COST 514 Action - Ferroelectric Thin Films, with the project "Spectroscopic Investigation of Ferroelectric and Incipient Ferroelectric Films", in collaboration with R&D groups from Czech Republic and France, December 1997 - April 1999. 18. - Integrated Action Luso-Britanic - 1999, Nº B-51/99, with the project "Relations between microstructure / structure and properties of electroceramics", with the University of Sheffield, UK, March 1999 - November 2000. 19. - Program of Cooperation "Outreach" from INVOTAN, "Studies on the possible existence of a morphotropic phase boundary in PFW-PT", January 2001 - December 2001. 20. Scientific Cooperation within the Portuguese Institute of International Scientific and Technological Cooperation (ICCTI) and the Czech Republic Academy of Sciences (ASRC), with the project "Dielectric characterization of incipient ferroelectrics for tunable capacitor applications", (Proc n4.1.1AcCRep.Checa), in collaboration with the Department of Dielectrics from the Institute of Physics from ASCR, March 2001 - March 2002. 21. Integrated Action Luso - Spanish - 2001/2002, Nº E-46/01, with the project "Ferroelectric thin films: preparation and characterization ", in collaboration with the Institute of Materials Science from Madrid, May 2001 a May 2002. 22. - COST 528 Action - Chemical Solution Deposition of Thin Films, with the project “Low Temperature Processing of Ferroelectric Films for Computer Memories and Piezoelectric Applications”, in collaboration with R&D groups from England, France, Ireland and Spain, since June 2000. 23. Thematic Network POLECER - Polar Electroceramics, within the 5th European Program, Competitive and Sustainable Growth Program, GTC1-2000-28210, since April 2001. 24. COST 525 Action - Advanced Electronic Ceramic Grain Boundary Engineering, with the project “Structural and dielectric studies of incipient ferroelectrics”, in collaboration with R&D groups from Czech Republic, Italy and France, since January 2003. 25. 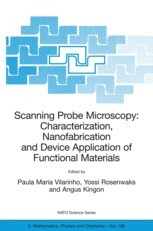 Bilateral - Cooperation: Portugal - Belgium, GRICES / MCT, with the project “Chemical solution preparation of ferroelectric thin films for microelectronic applications” in collaboration with the University of Linburgs, Flandres, since January 2005. 26. European Network of Excellence FAME - Functionalised advanced materials engineering of hybrids and ceramics, 6th European Program (FP6), in collaboration with R&D groups from Belgium, France, Germany, Israel, Spain, UK, since September 2004. 27. Scientific and Technological Cooperation between GRICES and the Minestery of Sceinece and Technology of the Popular Republic of China, with the project “Preparation and characterization of single crystals and films from ferroelectric relaxors”, in collaboration with the Shanghai Institute, March 2005 - March 2007. 28. COST 539 Action - Electroceramics from Nanopowders Produced by Innovative Methods"- ELENA, with the project “Processing and functional characterisation of electroceramics and films prepared from nanopowders” in collaboration with R&D groups from, Belgium, Brasil, Bulgary, Czech Republic, France, Germany, Hungary. Italy, Japan, Lithuania, Poland, Romenia, Russia, Slovakia, Slovenia, Spain, Serbia e Montenegro, Switzerland and UK since March 2005. Leader of the Electroceramics Group was elected as executive officer of the Federation of European Materials Societies. The researcher is the only Portuguese women featured in the book "Successful Women Ceramic and Glass Scientists and Engineers: 100 Inspirational Profiles"
2019, JOURNAL OF PHYSICAL CHEMISTRY C, 123, 1, 710-718. 2018, JOURNAL OF THE EUROPEAN CERAMIC SOCIETY, 38, 6, 2547-2552. 2018, JOURNAL OF MATERIALS CHEMISTRY C, 6, 10, 2467-2475. 2018, SCRIPTA MATERIALIA, 155, 160-163. 2018, MATERIALS CHARACTERIZATION, 142, 1-8. 2018, CRYSTAL GROWTH & DESIGN, 18, 7, 4037-4044. 2018, ACS SUSTAINABLE CHEMISTRY & ENGINEERING, 6, 12, 15988-15994. 2018, MATERIALS & DESIGN, 160, 1322-1334. 2018, FERROELECTRICS, 532, 1, 89-99. 2017, JOURNAL OF SOLID STATE CHEMISTRY, 246, 29-41. 2017, MATERIALS & DESIGN, 113, 377-383. 2017, JOURNAL OF MATERIALS CHEMISTRY C, 5, 5, 1083-1089. 2006, Uetikon-Zuerich: Trans Tech Publications. 2005, Dordrecht [u.a. ]: Springer Netherlands. 2016, 147-162. 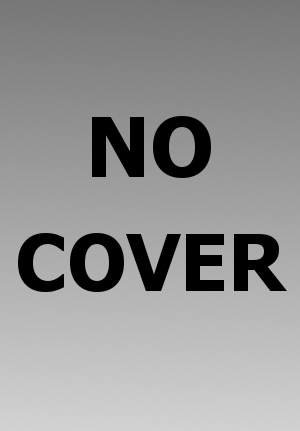 Chichester, UK: John Wiley & Sons, Inc.
2014, 83-98. Bucureşti: Romanian Academy. 2003, 329-338. Lisbon: Ist Press.